Lauren Faits considers herself one of HartLife’s “all-rounders.” When it comes to Our Fair City, she contributes a little acting, a little art, a LOT of social media, and more than a few brainstorming car rides with her husband, Clayton Faits. 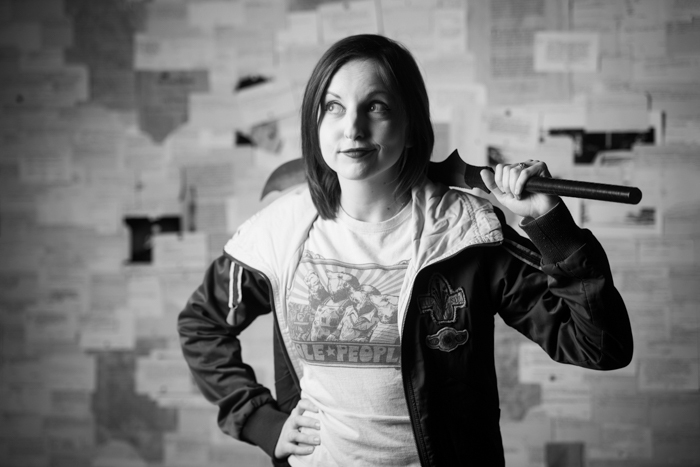 Lauren is the voice behind Geek Girl Chicago– a sci-fi, fantasy, and gaming culture blog. She also works at an eye doctor school. Lauren’s passions include cosplay, lefty musical instruments, atheism, and rooting for fictional characters that feel entitled to power and accolades they probably don’t deserve. She’s the type of person who is lactose intolerant, but still eats macaroni and cheese because we only have this one life, you know? If she could be anyone, she’d be Dana Scully from The X-Files. Fifty points to Slytherin.